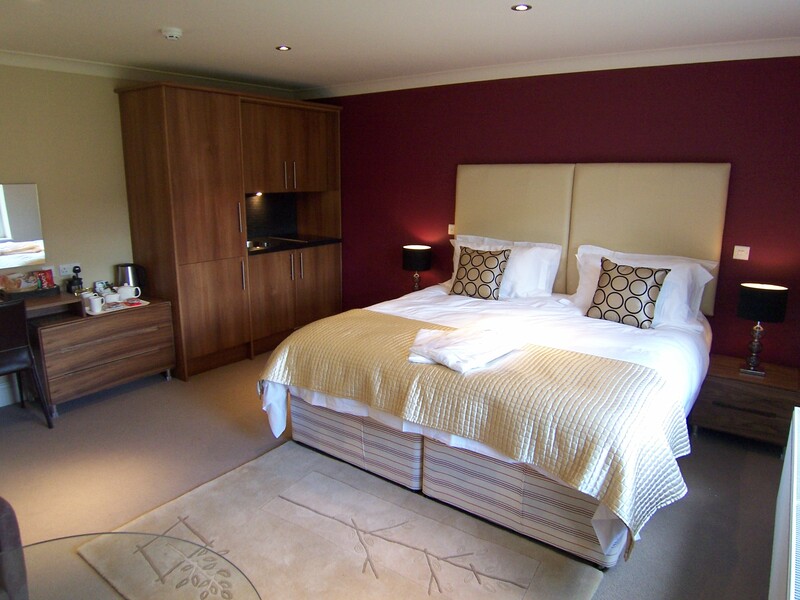 The Sir Ranulph Fiennes Suite is a spacious, superior suite with its own entrance at ground floor level. 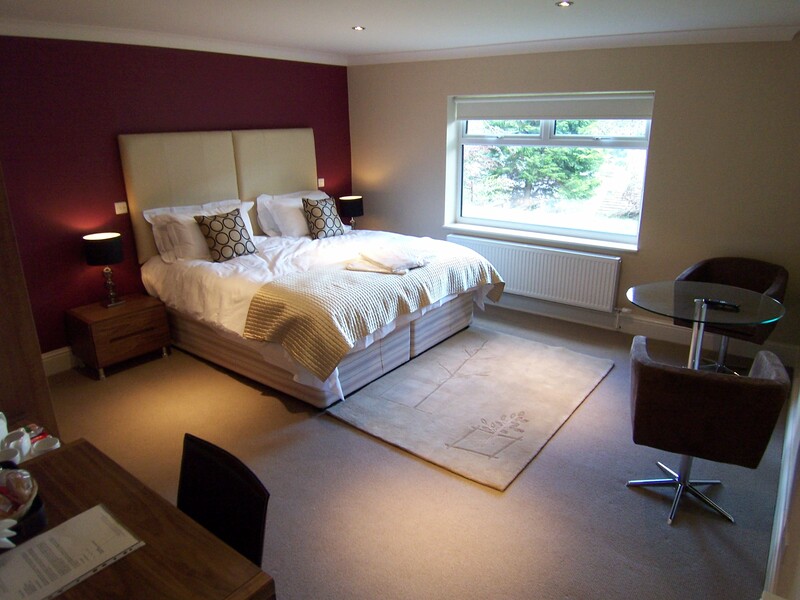 This suite features a Super King size bed which splits into two singles for maximum flexibility of guests’ requirements. There is also space for a portable bed suitable for children up to 12 years as a family room. En-suite bathroom with bath, separate shower, w.c and wash basin. Kitchenette with fridge, microwave, round bowl sink, ceramic hob, kettle and toaster. Dining area with round glass table and leather tub chairs.